Brendan "PLAYERUNKNOWN" Greene presented a session at GDC 2018 yesterday, titled PLAYERUNKNOWN: From Mod Creator to Creative Director of PUBG. Fortnite is a free to play game and its revenue comes from the ingame purchases of cosmetic items like, avatars, clothes, amusing animations and skins. PUBG is now available to play on PC, Xbox One, and mobile, whereas Fortnite is available on those platforms and the PlayStation 4. You'll find all that good stuff at SteelSeries dot com - and we'll be covering this release as it makes its way to reality, too. The comments are notably conciliatory - though Greene prefaced his comments with a subtle joke about "having a lot of thoughts" on Fortnite. But the tables seem to have turned now as Fortnite has outdone PUBG and posted a revenue of $126 million in the month of February compared to the $103 million by the latter. According to an article by Kotaku, these bots seem to be created to appear more frequently at earlier levels of play, and are created to ease people into the game. But Fortnite still has room to grow due to the fact that it is a limited release, and offers cross-platform play while PUBG does not. 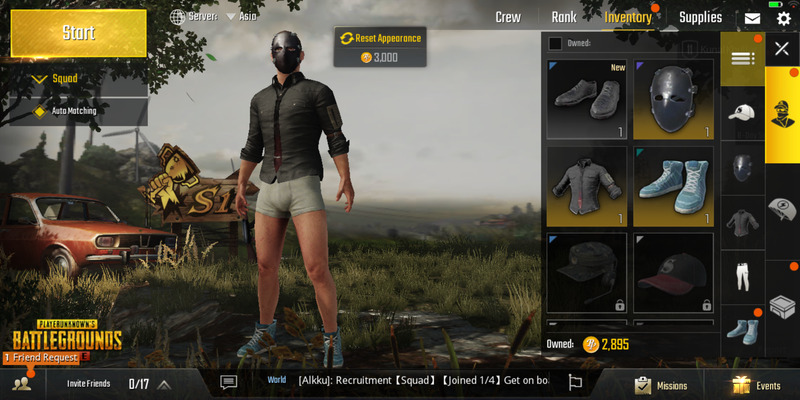 In event mode, will meet the new content that is available in PUBG only for a while. It stands to reason that a first game with a high kill count (unknowingly propelled by bots) would make players feel a bit better about sticking with the mobile version of the game, especially given the high learning curve of its PC and console counterpart. I would say Snapchat is a bigger issue than games. The game prides itself on the stylised graphics it uses, and we're unlikely to see that change anytime soon.